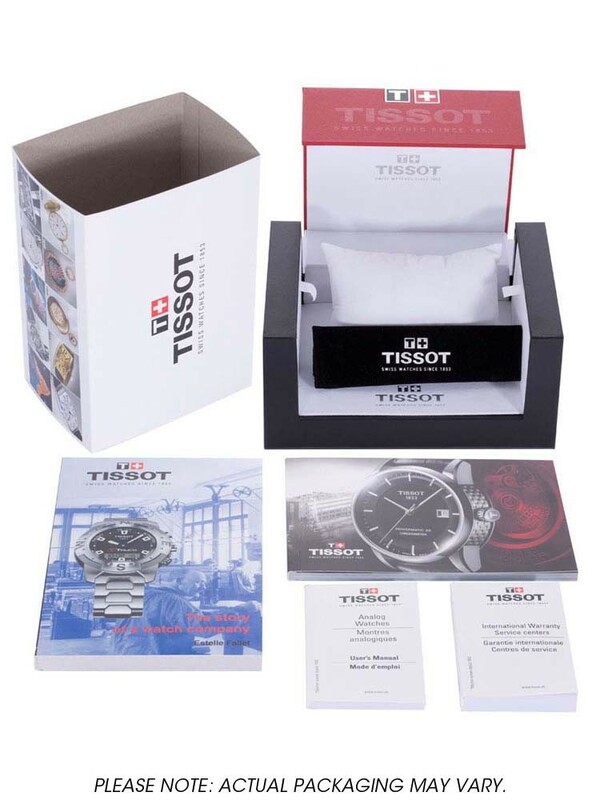 An attractive Tissot strap watch from the Quickster range, ideal for adorning your outfits with this season. Featuring a round mother of pearl chronograph dial, date function and matching rose gold detailing it makes for a fashionable and practical accessory. 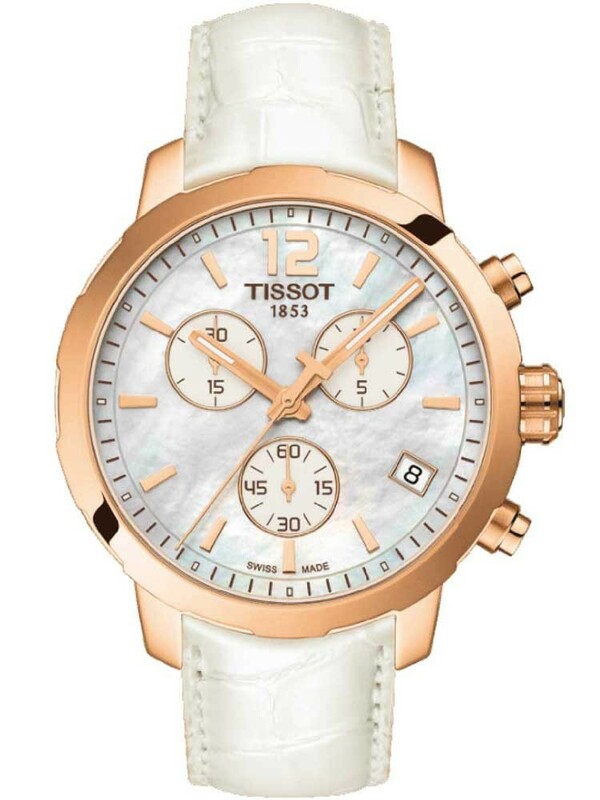 Finished with a smooth lavishly rose gold plated case and white leather strap, it makes a great gift for your loved one.